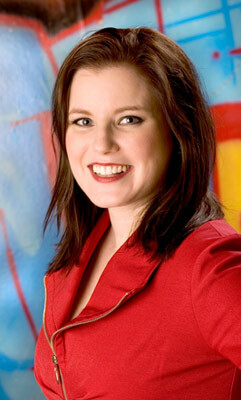 Soprano Jessica McCormack, Head of Voice Studies and an Assistant Professor of Voice at Indiana University South Bend, will present a lecture and recital ‘Canadian at Heart: A Lecture Recital Featuring the Works of Canadian Composers from Across the Country’ on Thursday, Sept. 26, 7 p.m., in the Hazen Hall Lecture Theatre, UNB Saint John. Reception afterward. Dr. McCormack holds a Doctor of Musical Arts degree from the University of North Texas, a Master of Music in vocal performance from Southern Methodist University, and a Bachelor of Music in vocal performance from the University of Toronto. McCormack has sung at Carnegie Hall, under the direction of Ton Koopman, Helmuth Rilling, and Robert Spano as part of the Professional Training Workshops series, and as a soloist at the Boston Early Music Festival. She is the featured soprano soloist on the recording Works of Minoru Miki, released by Texas A&M University, and is the soprano with the American Chamber Vocal Ensemble. Scottish pianist Geoffrey Duce will accompany Dr. McCormack. Duce has performed throughout Europe, in the USA, Japan and Hong Kong. As a concerto soloist he has appeared with the Sinfonie Orchester Berlin in the Berlin Philharmonie, as well as with the New York Sinfonietta, the Scottish Sinfonia, the Edinburgh Philharmonic, and the Olympia Symphony Orchestra. Duce has also performed in London's Wigmore Hall, New York's Carnegie Hall, Manchester's Bridgewater Hall and in Edinburgh's Queen's Hall. Sponsored by the Lorenzo Society, UNB Saint John and ArtsNB, the 2013-2014 Music Series includes noon hour Munch and Music concerts by the Saint John String Quartet, Musicians-in-Residence of the University since 1991, and lecture and recital by other musicians.